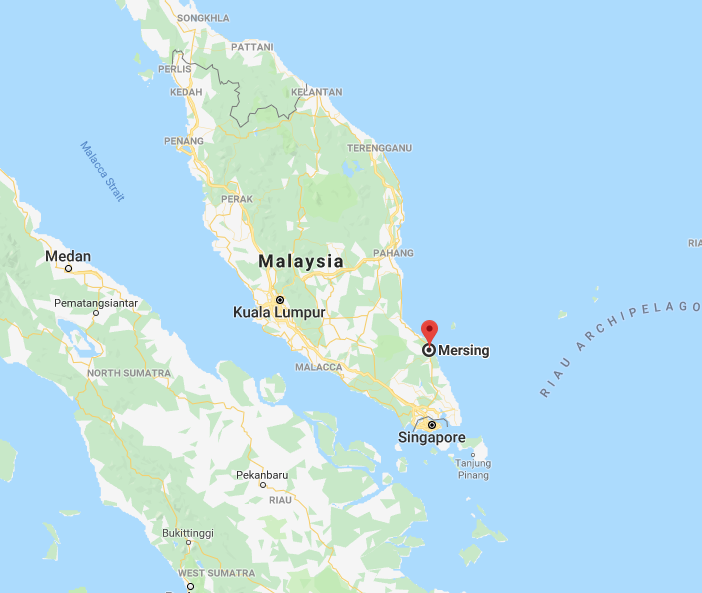 Have you ever heard of Mersing? Well, It’s a small village situated in the Northeast of Johor, Malaysia. Most people recognise Mersing as the main departure point for ferries. From Mersing, we can go to the famous islands like Tioman Island and Rawa Island. If you are planning to go to this town, consider to explore the area. There are actually plenty of places you could visit here. So, instead of sitting at the port only while waiting for the ferry, you can checkout some of those places. 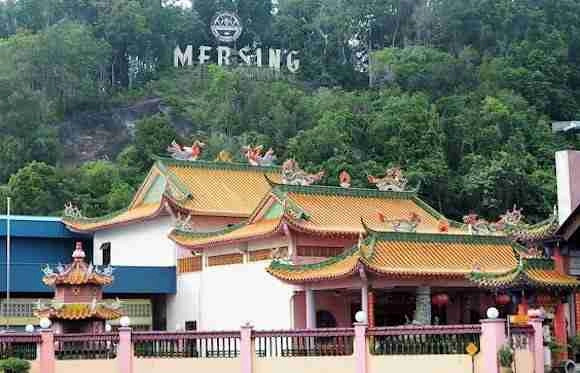 Here’s our list of things to do in Mersing Malaysia. Where is Mersing Malaysia on the Map? We must say that Mersing has some spectacular, beautiful and colorful waters. This is a great place for those who want to dive into the sea. 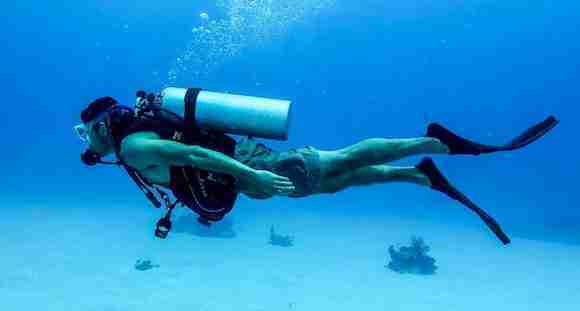 The instructors will act as a professional guide that will tell everything you need for diving. He will ensure you to have the right equipment and all the safety measures you need. As for the diving spot, there is a narrow channel in the town which is ideal for the activity. Like we said before, Mersing is a small town. It is easy to take a stroll around the place. But, if you want to learn more about the area, just visit Mersing Marine Park Centre. This is an excellent spot where you can gather the information about the entire area of the town. Of course that is not the only function of the Mersing Marine Park Centre. As you can see by the name, it also serves as an exhibition hall which shows you marine wildlife. Do not hesitate to ask if you have some questions related to marine life. The staff at the centre will be gladly to answer them all. If you are looking for something historical in Mersing, go to Hock Soon Temple. It is one of the most beautiful Chinese temples around the town. This temple was constructed in Taoist style. And, it is already a century old. This temple is dedicated to the god of prosperity known as Tua Pek Kong. You can find this temple along Jalan Jemaluang. It is near the roundabouts when you come to Mersing. 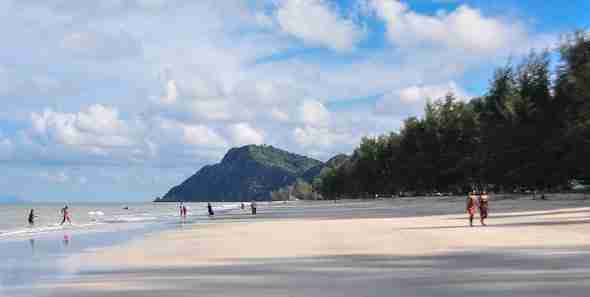 Mersing has several popular beaches you can visit. One of them is Air Papan Beach. This place is not far from the jetty. It only takes 15 minutes to go there. Once you get there, you can enjoy the beautiful scenery. You will see a line of coconut trees and rice paddies along the coast of the beach. While walking along the beach, you will feel a cool breeze blowing you. If you want to stay longer, you can find a lot of chalets at this beach. They will offer you proper accommodations at cheap price. Also, there will be a festival known as Pesta Air Papan. The locals usually celebrate it every May 1st. In the festival, you will be able to enjoy delicious foods as well as interesting organised games. Sri Subramaniam Temple is another temple you can visit in Mersing. This place is actually near Hock Soon Temple. You only need to take a short distance to the left side of the temple. Meanwhile, if Hock Soon Temple is the Chinese temple in Taoist style, this one is a temple specially for Hindus community. The temple is dedicated to a certain Hindu deity named Subramaniar or also known as Murugan. This Thaipusam-associated deity is a very famous deity among South Indians. 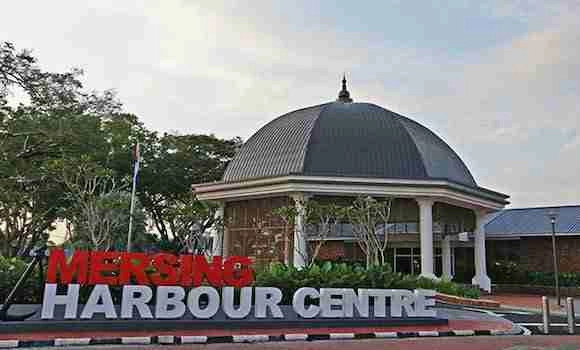 Ever since Sultan of Johor launched Mersing Harbour Centre, the town began its new era. Long time ago, buying ferry ticket was a bit hackneyed. Now the centre changed it into a comfortable house for those who want to buy ferry ticket. In addition, this centre also serves as Tourist Information Centre. Hence, if you have something to ask either about ferry or the town itself, you can go to this place. Furthermore, we can buy some snacks for the ferry trip at this centre. And, some souvenir shops are available whenever you want to buy something that could remind you of Mersing. Culinary is a must-thing to do whenever you travel into other countries. Mersing has several restaurants that can offer you delicious dishes. But, out of all options, Loke Tien Yuen Restaurant is the best one. This restaurant has been in business for over a century. Yet, they are still able to deliver tasty Cantonese cuisine. This restaurant is so popular around the town that it is often full. Hence, you might need to wait for a table to enjoy the food. Or, you can just make a reservation via phone call before you go to the restaurant. For your information, this place has no menu book. So, make sure to clearly tell what Cantonese food you want to eat. About the dishes, the most popular one is their whole steamed fish. All locals love to eat this food whenever they visit the restaurant. The other dishes you may order are pouched chicken, Ku Lo Yuk, spring roll, prawn, pork dishes, and many more. Looking for a dessert? Then go to Xiang Guo Bakery & Cake House. The bakery serves varieties of delicate cakes such as tiramisu or cheesecake. You can eat them along with a tasty cup of coffee. Besides dessert, they also serve other menu like rices dishes, pizza, Malay-style noodles, etc. The price for their dishes is reasonable. There is a good selection of ways to get to Mersing. There is no airport in Mersing. The most popular way to get to Mersing is by bus. The bus ticket can be bought online. Buses are available to take people to Mersing from Malacca, Kuala Lumpur, Johor Bahru and Singapore. Melaka to Mersing: There is a bus services from Melaka(Melaka Sentral)to Mersing. It takes about four to five hours, with departures in the morning, afternoon and evening. Kuala Lumpur to Mersing: From Kuala Lumpur it takes about 5 to 6 hours. I have been asked where places are on the map. Here’s the map picture shown where is it. Mersing has a decent variety of guest houses, hostels and hotels. Here are a few places to check out and give you an idea of what is available in Mersing if you are planning to visit Mersing. MG Hotel is located in Mersing and is 12 minutes walk from the beach. This 3-star Japanese-style business hotel has air-conditioned rooms with a private bathroom. The accommodation offers a 24-hour front desk, a shuttle service, room service and free WiFi. Inari Hostel & Guesthouse features free WiFi and views of city in Mersing. Guests enjoy all-day complimentary coffee and tea. There is a common area in the hostel. At the hostel, rooms are equipped with lockers. The rooms include a shared bathroom. The rooms will provide guests with a microwave. Singstay Guesthouse offers accommodation in Mersing. The nearest jetty is a two-minute drive away, while the bus and taxi terminal are a three-minute drive away. Free private parking is available on site. Free WiFi is available. Rooms are fitted with air-conditioning, a flat-screen cable TV and a work desk. The private bathroom is fitted with hot-shower facilities. USB sockets are available in the spacious living area. Finally, as you can see, there are so many things to do in Mersing. And, the list above is only a few of them. That’s all the best places in Mersing which we can recommend to you. Mersing may be a small town. But, it has something more than you could expect. So, be sure to travel around the town so you can get to know more about it. And that’s it for now! I’d love to know if this guide on the things to do in Mersing Malaysia has helped you. Let me know if you have any questions and let me know if you go too.